A delegation from the Saudi General Authority of Civil Aviation (Gaca) recently met with aviation officials in India to discuss ways to improve support for airliners in both countries. 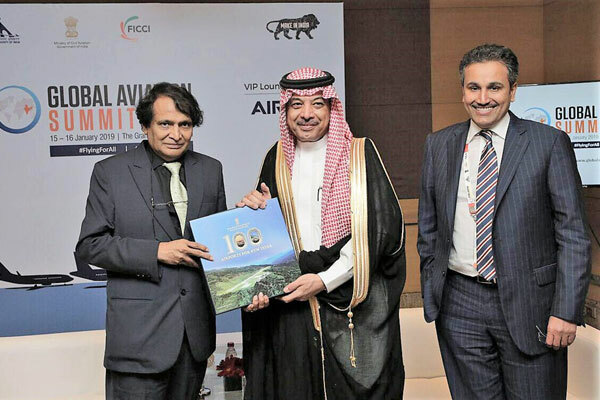 The delegation, headed by Abdulhakim Al Tamimi, president of Gaca, met with civil aviation and commerce minister in India, Suresh Prabhu, at the Global Aviation Summit 2019 held in Mumbai, India, from January 15-16. Gaca’s aim through its participation in this global forum is to strengthen relations between the authority in the kingdom and the aviation authority in India in addition to highlighting its various projects in the field of civil aviation and air transport.